God, through the Holy Spirit, lets me know when I need to give my child a spanking or a hug! (I couldn’t parent without Him speaking into my life!) The Holy Spirit nudges me when He wants me to talk to someone in the grocery store. God will NEVER contradict His Word! So, why is it then, that we can’t hear Him speak sometimes? In this blog series, I want to introduce 5 possible reasons why we can’t hear God’s voice in our lives. 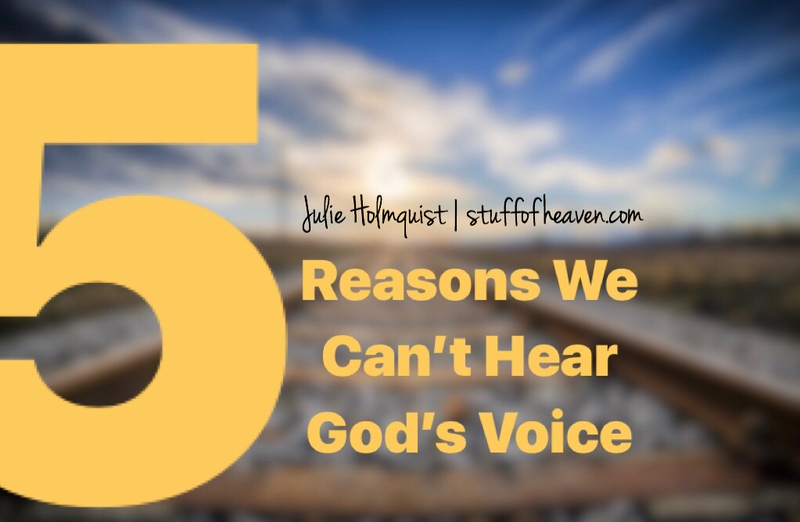 I believe the first reason we can’t hear God is that we are harboring sin in our hearts. I’m not talking about sinning occasionally. I’m referring to walking in known sin. The kind of sin I believe that blocks us from hearing from our Abba Father is unconfessed known sin. The Holy Spirit is continually wooing us toward God. One of His jobs is to convict us of sin and righteousness. If we choose to resist Him in that, our hearts will become hardened. We will become dull of hearing. 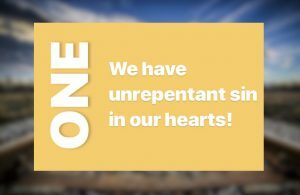 We won’t be able to hear Him until our sin is dealt with by confession (agreeing with) and repentance (turning from sin). At that point, the only thing we will “hear” is conviction. He can’t speak to us any further until the sin He is pointing out in our lives is dealt with. Sin blocks intimacy with Him! It creates distance between us. 1. Do you, first of all, believe that God WANTS to talk to you? You have to know that in your heart. 2. Do you feel a distance between you and God? Perhaps consider asking Him if there is any sin in your life that you need to be aware of.